If you managed to have a read of last weeks nail post which was a November's Nail Wishlist, then you may have seen these next 3 items on that list. After paying bills/rent and all the other stuff us adults have to do, I decided to treat myself to a couple of new Barry M nail paints. 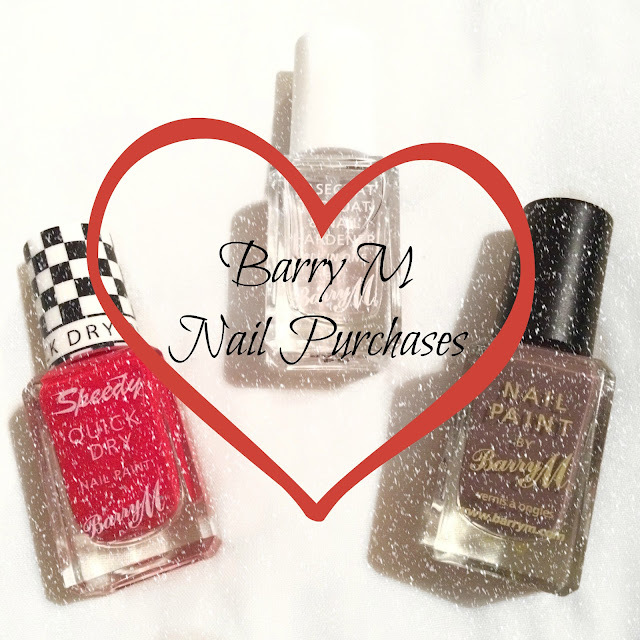 I chose to go for these particular 3 as firstly they were on my wishlist and secondly I'm currently building up my collection of Barry M ones, as I find they apply so nicely and are good value for money. 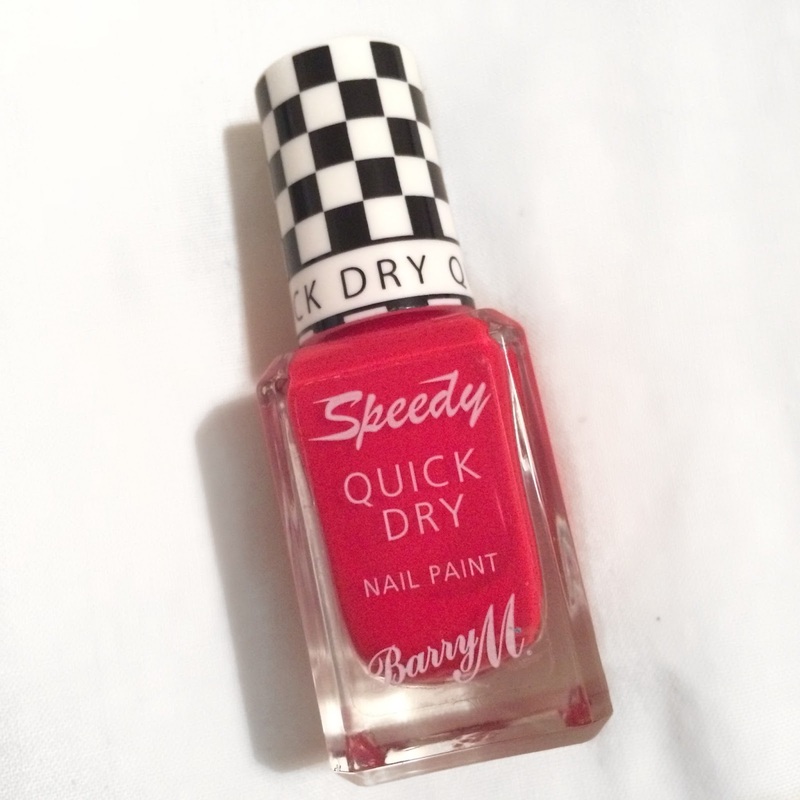 Barry M: Dead Heat - First up is this classic red colour and it's the first "speedy quick dry" one that I've brought by Barry M and I must say I was rather impressed with how quickly it did actually dry, my nails were fully dry within about 5 minutes. I've really been wanting to start wearing brighter colours on my nails as I've mainly been wearing dark colours that appeared in my Autumn Nail Varnishes for the past few weeks and I was starting to get bored so at the moment this is my go-to nail varnish for a bright colour. Barry M: Capuccino - This one is a darkish brown coffee colour hence the name 'capuccino', I probably won't wear this one for a little while only for the fact I'm liking bright colours as I mentioned before. But I decided to buy it anyway just for the fact it was in the 3 for 2 offer in Superdrugs so I just picked it up as another item to cross off of my wishlist. 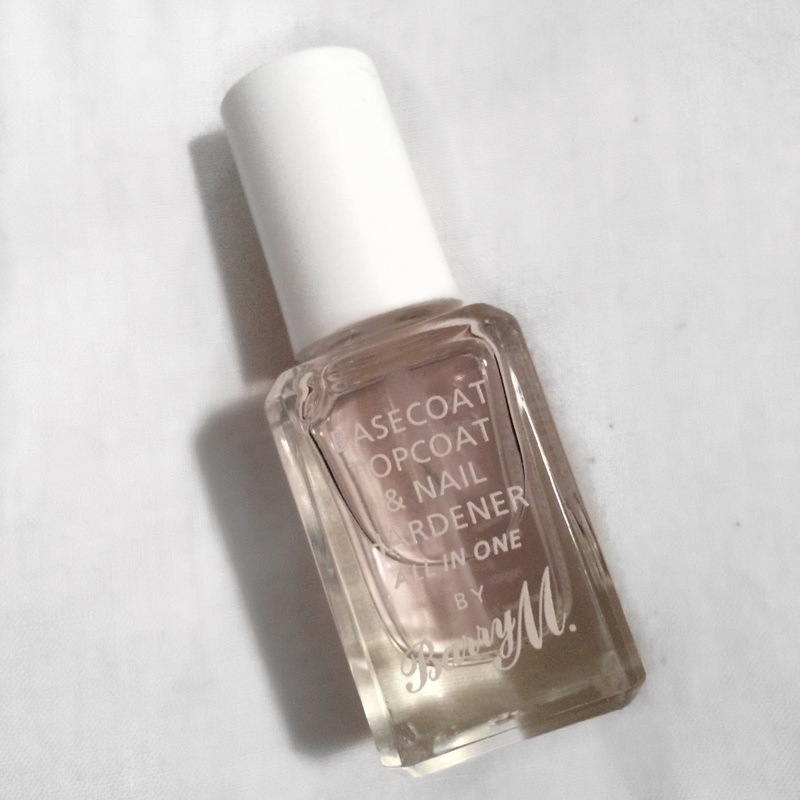 Barry M: Clear - There's not much to say about this one as it's just completely clear, but I was needing a new base & top coat as my old one was running out. I was previously using one by Ciate, but seeing as this one is both a base & top coat it made sense to just buy this one.